Derived from the Latin word “poene”, which means punish, this is a very good definition of pain because it can really be punishing. Anguish can impale you, paralyze you and leave you out of your wits. It does feel even more than a punishment. Why do people tolerate pain differently? What is pain? We all know it, we have experienced pain in many circumstances. If you pinch yourself right now, you will experience a feeling, one that will not be too pleasant. That is pain! Acute pain is a good feeling. For example, if you have been grossly injured and you fear passing out, pain will keep you alert. Pain is an indicator that something in your body is wrong. It is perhaps the most understood stimuli in human beings and animals today. It can be hard to define pain because the experience differs from one person to another. However, we can consider the two main categories of pain. The first one is acute pain. This one is usually like a dash, a flash, a tinge, a throe, it may linger for a few minutes, and then it will be gone. Then there is another form of pain. This is chronic pain. It can hound you for a long time, for many years. Examples of chronic pain include cancer pain, back pain and knee pain. Most people will define their pain depending on the cause of the same. For example, if one has had injury, they can relate the pain to that injury. If one has had surgery, then they may experience some pain, which they will attribute to the surgery. However, there are other kinds of acute pains, the pains that we feel like a flash, we ignore them and if they persist, we take over-the-counter painkillers and bingo, we go on with our work. Sometimes, you may experience a twinge in your ribcage, or maybe a sharp pain in your neck, stomach, foot… anywhere. Definitely, you cannot write off the fact that this pain is a warning that something somewhere is not right. Therefore, as much as you can ignore that pang, you need to find out what in the first place caused it. Any form of pain, acute or chronic needs to be addressed holistically. 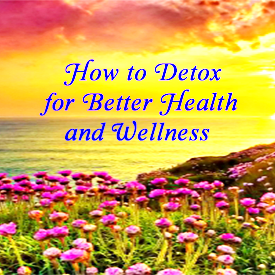 The root causes of the pain need to be defined and once known, the victim should be taken through natural, for example, using Chinese herbs and other methods of eliminating the pain. With millions of Americans suffering from chronic pain and with the medical practitioners not making much progress in the search permanent relief, natural methods for curing chronic pain will suffice. However, do not suffer silently because there are many forms of treatments. Seeing as how common pain is, it is little wonder then that it is the main reason why people consult their physicians in the world. 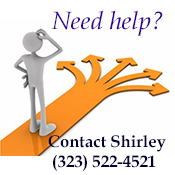 Pain can be a symptom of an underlying condition that should be addressed instead of suppressed by pain killer. Take the example of a tree… when the leaves start withering, you know that there is something wrong with the tree. For example, it could be that it has been planted in a place where the soil does not have enough nutrients. In that case, you do not go feeding the leaves with fertilizer, but you add it to the place closest to the roots. Chronic pain is mostly caused by an underlying illness. It could come in flashes and then die down, yet it never goes away. It could also be a form of continuous pain in which case it would be referred to as an ache. 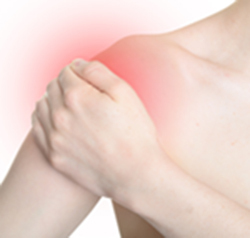 Inflammation is one of the major causes of chronic pain. Pain may be mistaken as a physical condition only, but the truth is that it is an emotional condition, especially chronic pain. We can say that it is physical because you can feel the sensation and we can say that it is emotional because it affects the mood, behavior, the way we relate with other people and even the way we work, do things and respond to our surroundings. Depression however increases the intensity of the pain. Therefore, it is only logical that a medical practitioner addresses the emotional side of the pain so that it does not escalate. By going back to our example of a tree, the roots are the main causes of the pain. This is where it all starts and if you peruse your history of the chronic pain logically, you will definitely identify the main cause of the same. Since you will definitely here medical practitioners mention the word inflammation a number of times, what is it really? 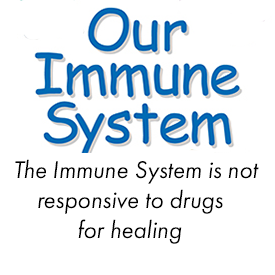 Inflammation is an immune response, the result of the body trying to “right” itself by removing the free radicals, dead cells, irritants, germs and pathogens. It is an attempt of the body to get rid of stimuli. Like any other purging process, this causes pain. Therefore, inflammation is a root cause of pain but the truth is that this too is caused by other underlying conditions. Therefore, you cannot be treated for inflammation and think that the chronic pain will go away for good. You need treatment for the condition that caused inflammation in the first place. 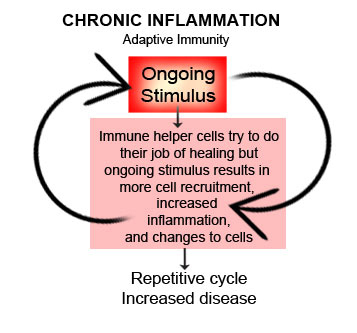 As an auto immune responses, inflammation can inflame further, therefore aggravating your pain further. Remember, this condition is caused by injuries, it could be an injury of the foot through an accident and so the immune system react by attempting to get rid of the stimuli. Not all inflammation is bad, but when it turns chronic, it can cause cancers, periodontosis, hay fever, atherosclerosis and rheumatoid arthritis. It seems that inflammation has good and bad sides. However, it is likely to cause depression and this will only intensify the pain. 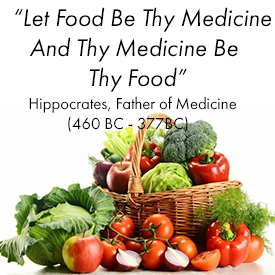 Nutritional deficiency is a big culprit especially for continuous pains that eventually turn to dull aches. For example, when the blood sugar goes down, unless you spike it up with something sweet, you are most likely going to experience some pain. It is very important that even if you experience that flashing feeling of hurt, you should never go for the drugs that you already have at home. The most important thing is to go see a doctor for proper diagnosis. Man is a comfort creature and therefore whenever he/she suffers any kind of pain, he will always rush for pharmaceuticals. This is akin to telling your body, “Stay silent. I am busy. You should not be here. Go away, I don’t need you now”. Of course, you do not need the pain at that particular moment. But come to think of it, pain is messenger, telling you that somewhere in your body, something is not right. As they say, you do not kill the messenger and worse, you ignore a signal at your own peril. Of course, it does not matter where the hurt occurs in the body because it will eventually go to the brain. Research is ongoing with scientists trying to unravel the mystery of pain, and how we feel it. There are pain receptors in the skin. They are called nociceptors and these are ‘activated by injury to the tissue. Note that at the end of every nerve, there is a pain receptor that is connected to the spinal cord by a long nerve fiber. When you experience tissue damage, the signal is transmitted to the spinal cord via the nerve fiber. Since many nerve fibers from the peripheral nerve, the peripheral nerve in turn has a neuron through which the signal from the tissue travels to the spinal cord in the neck. In the spinal cord, we have chemicals called neurotransmitters that pick up the signal and pass it on to other neurons through junctions known as synapses. The neurotransmitters in turn take the signal to the brain. Now this is where it gets interesting, when the signal reaches the brain, it is taken to the thalamus, that is, the place where all signals go and it is a kind of station where all gathering agents of the body bring their signals. The brain will then send the signal to frontal cortex that is responsible for thinking, the limbic system, which is responsible for emotions, and somatosensory cortex that is in charge of physical sensation; and then … that is when you cry ouch! Remember, all this happens in the split of a second. This just shows how marvelously the human body has been engineered. Pain tolerance differs from one person to another. For example, one person will be riling with misery from back pain while for another person; this will be just a simple annoyance that they can ignore. The degree of discomfort differs from one person to another and therefore, this raises the question of why some people have high pain tolerance and others can just about bite their tongues so that they do not scream from the torment that they feel. It seems that we do not experience pain the same way and therefore it will be easier to tolerate some types of pain than others. For example, when a woman is menstruating, she is liable to be more sensitive to pain than when she is not. In addition, pain tolerance depends on age, lifestyle and so forth. For example, a Navy SEAL is trained to bear pain. Because of their training, they can take excruciating pangs with minimal bother. If you are depressed, you will be more sensitive to pain than when you are not. 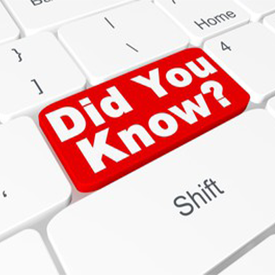 If you have a condition that is related to nerve damage, then you will be more likely to have low tolerance of pain. On a more scientific front, there is more than meets the eye. High or low tolerance of pain is related to COMT, a substance that breaks down dopamine, which is a neurotransmitter that delivers signals between cells. It is said that COMT lowers the number of dopamine in the brain and therefore there is likely to be higher tolerance of pain, as there is less signal transmission between the cells in the brain. 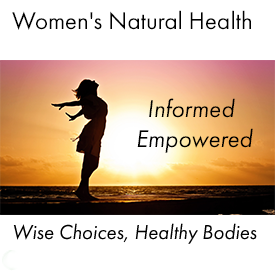 In a study done on women, it was established that women with higher estrogen levels had higher pain tolerance and vice versa. However, the fact that the level of estrogen will be high in women at particular times throws a spanner into the works. Studies are ongoing to establish whether the level of other hormones determines the pain tolerance in individuals. The issue of pain tolerance can only be addressed holistically. Remember, some conditions such as inflammation can cause more pain than, say, a broken thumb or limb. Therefore, until the root cause of the pain can be established, no treatment can be regarded as holistic. Natural treatments for pain such as Chinese herbs are very good, especially because they have no side effects at all. Analgesics can help numb the pain. Note that the natural methods of treating chronic pain will take a longer time to be effective, but the good thing about them is that they have no side effects at all. On the other hand, you can get instant relief from the drugs, but what the use of that if you will be left contending with pain from the side effects? What are the symptoms of pain? Of course, we will consider the reactions from different people. For some people, it is anger. Pain evokes negative emotions mostly and anger is usually foremost. When people are in pain, they are bound to be rude, abusive and to display odd reactions with little or no provocation. This kind of distress can cause stress and depression, which will eventually increase the pain. People are bound to suffer from unexplained fatigue when they are in prolonged anguish. This is simply a sign that the body is on lock down because of some problem or other, mostly from the root cause of that anguish. Prolonged fatigue is referred to as chronic fatigue syndrome, and when this is combined with chronic aches in the back, it is bound to wreck havoc on the victim every day. Depression, strain and stress are the most likely causes of chronic fatigue syndrome. They are also responsible for lowering the tolerance of the body to pain. No matter what kind of pain you are going through, if it is persistent, it means there is an underlying cause, which should be diagnosed properly before medication is administered. 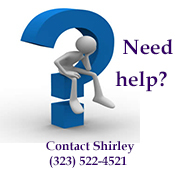 Most times, people will take over the counter drugs to suppress the hurt. This in many instances has led to addiction to the painkillers, eventually causing the body to become used to them and eventually, one has to take more of them. 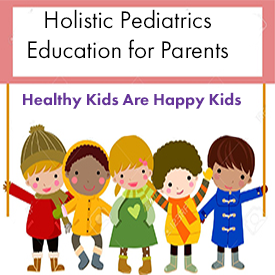 The solution is to address pain holistically, by determining the root causes. 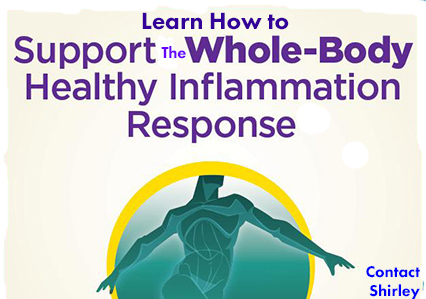 Dr. Mercola - "Inflammation is a normal and beneficial process that occurs when your body's white blood cells and chemicals protect you from foreign invaders like bacteria and viruses. 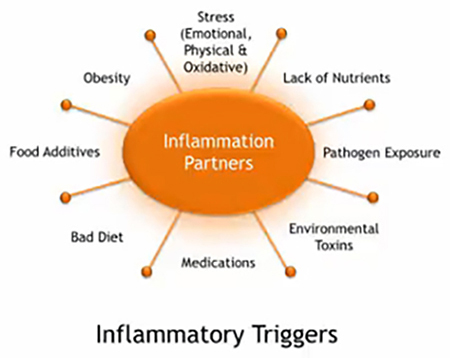 Most people don't realize that you need some level of inflammation in your body to stay healthy, however its also possible, and increasingly common, for the inflammatory response. If your immune system mistakenly triggers an inflammatory response when no threat is present, it can lead to excess inflammation in your body, a condition linked to asthma, allergies,autoimmune disease, heart disease, cancer and other diseases, depending on which organs the inflammation is impacting." 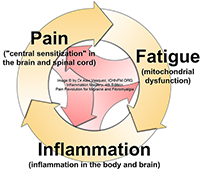 The Inflammation Syndrome is the cumulative effect of low-grade inflammation including the aches and pains we all experience that grows into chronic debilitating disease. 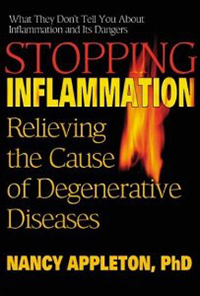 This book, the first major book on the syndrome, reveals the powerful role that inflammation plays in a wide variety of common health conditions from simple aches and pains to heart disease, obesity, diabetes, Syndrome X, arthritis, asthma, and athletic injuries. 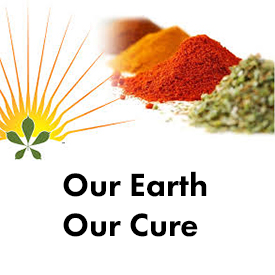 Drawing on cutting-edge research conducted around the world, Dr. Jack Challem MD provides a revolutionary approach to healing inflammation-related problems through an easy-to-follow nutrition and supplement program. 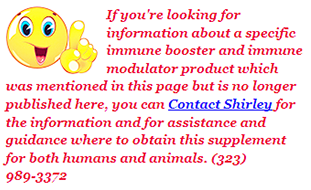 He also shares the latest information on C-reactive protein, one of the markers of serious inflammation. 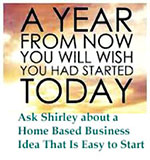 This book, quite simply, shows you how to feel better for life. The latest research makes it clear that pain is an important health issue for all animals. Whatever their condition, providing proper pain management always enriches their quality of life and can help them recover more quickly and completely. 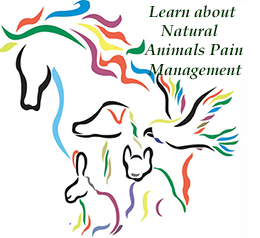 Animals and humans share similar mechanisms and pathways of pain and show similar pain behaviors “We have never really trained veterinarians to think about pain associated with disease,” says Dr. William Tranquilli, professor of clinical medicine at the University of Illinois. Nuvet is a hip and joint pain relief for dogs and cats. 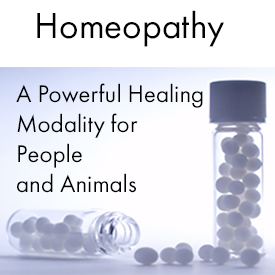 It is used by veterinarians as natural alternative to steroids to address inflammatory conditions with no side effects. 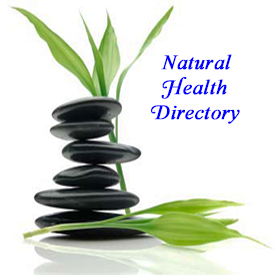 You can now get acupuncture, homeopathy, holistic medicine. 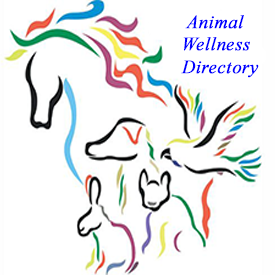 Ultimately, treatment is based on what an owner is able or willing to do for a pet. “There is no right or wrong,” says Dr. Messonnier. Twice-weekly acupuncture may not be possible for those who don’t have transportation, so they prefer to give pills. “There is an additional cost for pain relief,” says Reding. Clinics may charge an extra $40 to $60 for a Fentanyl patch, for example. Some clinics and unethical veterinarians cut costs by eliminating pain medicine, says Dr. Messonnier. 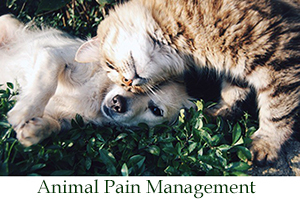 “Don’t assume your veterinarian already uses pain management,” he says. “If the spay only costs $50, a light needs to go off – ask!” Be aware that anesthetic does not address pain. Dr. Messonnier says that ketamine (a common injectable anesthetic) only controls superficial pain, and does not block the visceral pain that results from spay surgery.